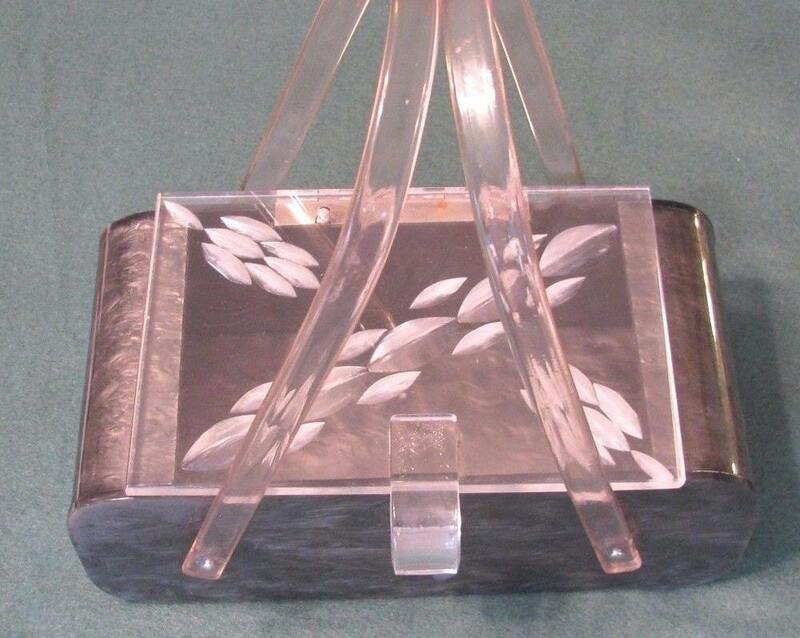 Pearlized gray Lucite box purse with clear Lucite top. Top has carved leaf design as shown! Clear double handles. Matching clear Lucite latch. 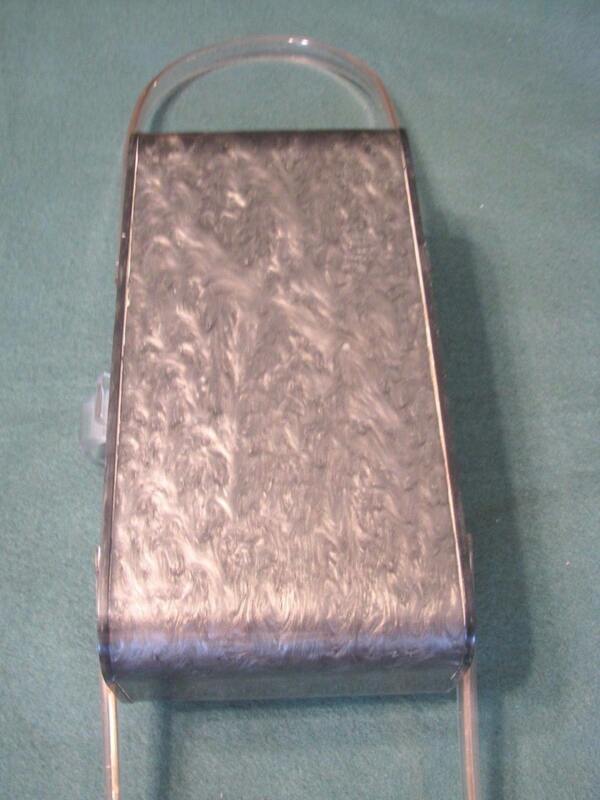 Lovely and elegant collectible handbag in near mint condition. No label. A steal at this price. 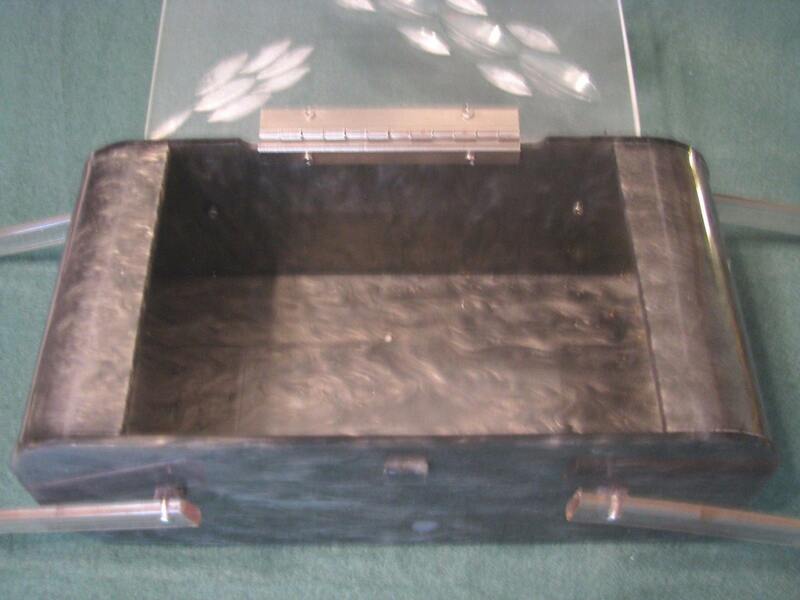 Dimensions: 8 inches long x 4 inches tall x 3 inches wide.